It has been a managerial merry-go round in the Championship over the past seven days, and no fewer than four managers oversaw their new clubs at the weekend. So how did these four managers fare, and what does the future have in store.. | The Transfer Tavern | Where football transfer rumours fly or die! After being harshly sacked by Watford at the conclusion of last season to pave the way for Gianfranco Zola and his Italian contingent, Sean Dyche hasn’t had to wait for too long before a return to management in The Championship. He impressed on a limited budget at Watford, achieving a safe mid table finish despite being tipped by many to be relegation contenders. 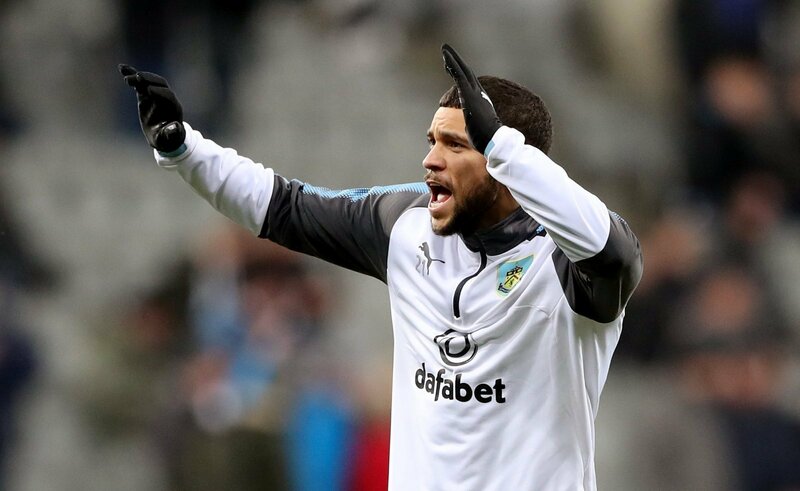 He got off to the perfect start on Saturday, as his Burnley side beat Wolves 2-0 and he will have seen plenty to be positive about, not least the form of Charlie Austin, who is the top scorer in English football this season. Dyche’s priority this winter will surely be to retain the services of Austin until the end of this season at least. If Burnley can continue to provide an adequate service to Austin, his goals are a virtual guarantee. Defensively, however, Burnley have been poor this season, and this is an area of the pitch that Dyche will need to look at and address. The clean sheet against Wolves, just Burnley’s third of the season, was an encouraging start, but Dyche will know that he needs to find the right blend between attack and defence if Burnley are to be successful this season, something Eddie Howe failed to do. Is there a tougher managerial job in The Championship right now than at Ipswich? A club that had such high levels of expectations in August are now deeply embroiled in a relegation battle come November. McCarthy’s responsibility this season is simple, to secure Ipswich their Championship status for another season. The real progress of taking the club forward will come in the summer, only if survival is confirmed. McCarthy’s first game saw the club begin that challenge of beating the drop by winning at Birmingham, courtesy of an early goal by DJ Campbell. The transformation from the week before, where Ipswich were shamefully destroyed at home by Sheffield Wednesday was remarkable, but McCarthy knows that he has accepted a tough job, and he will eventually need to overhaul a squad that is simply not good enough to meet the fans expectations. Ipswich have made the correct appointment, few managers have better records in this division than McCarthy. Freedman made the perhaps surprising decision of leaving high flying Crystal Palace in favour of struggling Bolton. His decision was somewhat justified however on Saturday when his first game in charge saw Bolton come from behind to defeat league leaders Cardiff City at the Reebok. Depsite Bolton’s precarious league position, they still have a vast amount of quality in their squad, and if Freedman can get the best out of these players then promotion is a more than realistic expectation despite the sluggish start. Such is the nature of The Championship, although Bolton are down in 17th, they are only five points adrift of the much sought after play off positions, and a decent run of form could easily see Bolton climb into those places over the next few weeks. Freedman left Palace in a fantastic position and with a young and energetic squad, but there is greater potential for development at Bolton, a side that have only just lost their Premier League status, and are in a more than stable enough position to get it back. Whether Freedman is that man remains to be seen, but see certainly arrives at Bolton with a growing reputation. In contrast to the three aforementioned managers, Berg was unable to get off to the perfect start as his new Blackburn side were well beaten at Crystal Palace. After the turbulent Steve Kean era, Berg has arrived at an united and unstable club, where there is tensions between owners and fans. With an unsettled picture off the pitch, on the pitch there is pressure for Blackburn to make an instant return to the Premier League, this minimum requirement has already been highlighted to Henning Berg by the clubs owners. Bearing these factors in mind, Berg has certainly got a tough job on his hands as he tries to unite the club off the pitch whilst winning matches on it. At present, it is tough to see Blackburn showing enough consistency to be serious promotion contenders, and Saturday’s result did little to ease these fears. Berg will be looking to get the best out of £8 million striker Jordan Rhodes, something that the club hasn’t really done yet. On paper, Blackburn have a competitive squad for the Championship, but inconsistency is denting their hopes of an immediate return to the Premier League. Berg will need to be given time to get the best out of his squad, but is this time that Blackburn can afford?